For all development builds access the Jenkins server here. Are you a developer looking for the repository manifest? Click here. 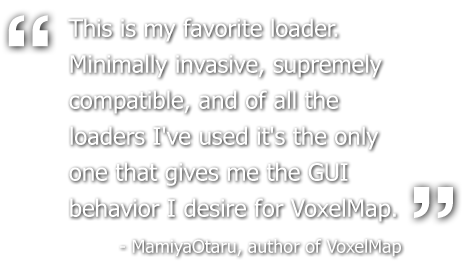 LiteLoader is a lightweight mod loader for Minecraft designed to provide simple, high-performance and reliable loader functionality for mods which don't need to modify game mechanics. For more information check out the LiteLoader Thread on Minecraft Forum.